Sultan Mehmet II conquered Constantinople in 1453 and soon after developed plans to defend the new capital of his empire. There was little to worry about a possible attack from the Bosporus. 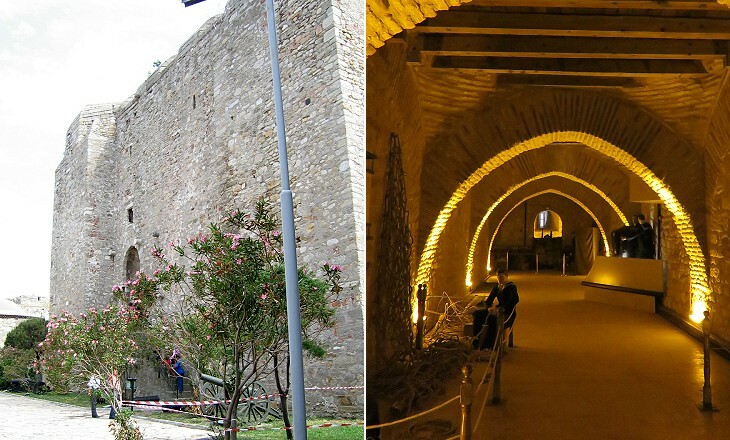 Genoa, notwithstanding its neutrality during the siege of Constantinople, had to agree to dismantle its fortifications in Galata. Apart from a few Genoese colonies at Amastri and Sinope and the small Byzantine Empire of Trebizond, the Black Sea was an Ottoman possession. Mehmet II was worried about an attack similar to that which occurred during the 1204 Fourth Crusade. On that occasion a powerful Venetian fleet had supported the crusaders who laid siege and eventually conquered Constantinople. Venice directly controlled the largest islands of the Aegean Sea (Crete and Negroponte) and (through Venetian families) the Duchy of Nasso, which included most of the small islands. In 1454 the Sultan, in order to gain time and to avoid an immediate confrontation, signed a trade agreement with Venice which granted very favourable terms to the Republic. He profited from the peace with the Venetians to consolidate his power by seizing the Mistrà, the last Byzantine possession, as well as the Genoese colonies in the Black Sea and the Empire of Trebizond. The expansion of the Ottomans in Europe led Pope Pius II to put pressure on the Christian nations to join forces to free Constantinople. The Venetians feared that the Ottomans might reach the Adriatic Sea by conquering Albania and in 1462 they indirectly supported the rebellion of Scanderbeg, an Albanian warlord. Both sides knew that war was inevitable and Mehmet decided to build two fortresses at the entrance to the Dardanelles to prevent the Venetians from attacking Constantinople. 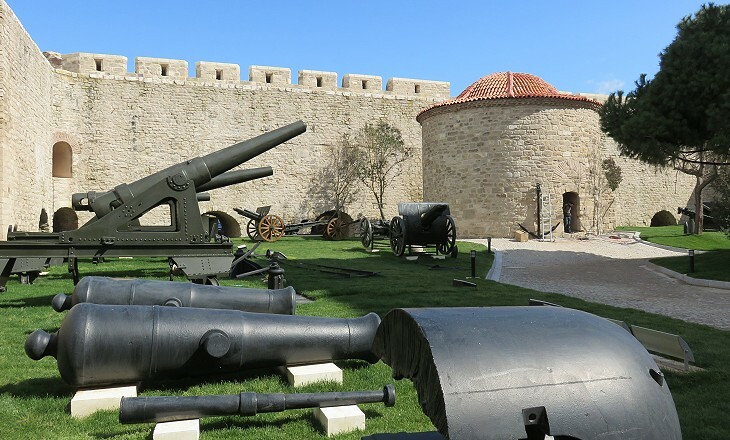 The fortress on the Asian coast was named Kale Sultanieh (Sultan's Castle), but the nearby town is known by the less emphatic name of Çanakkale (Castle of the jars), because of its pottery workshops. 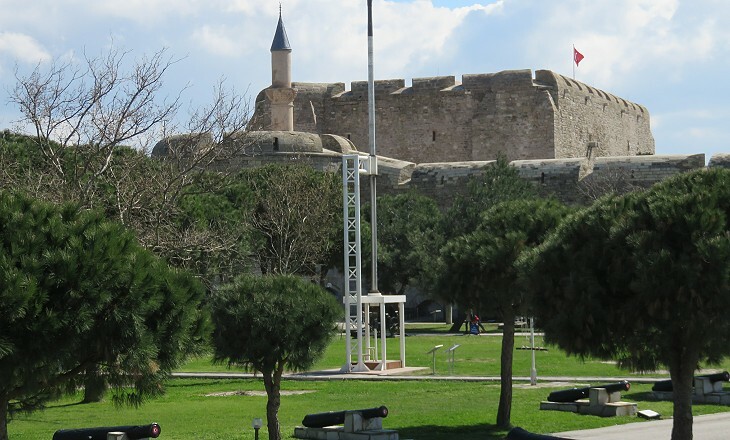 Today the fortress is formally called Çimenlik Kalesi (Lawn Castle), a reference to the park on its sea side. 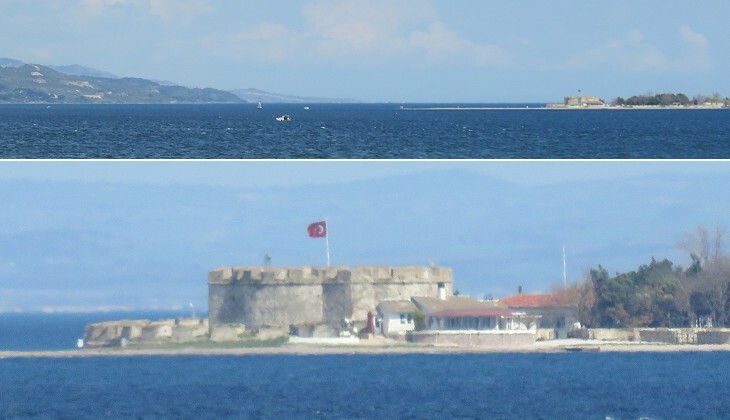 The fortress is still a possession of the Turkish Navy and access to some of its sections is not allowed. Its walls had a square shape: a large round tower protected the main entrance. A keep served as residence for the officers and provided an opportunity for a last resistance. A section of Kale Sultanieh is open to the public. Visitors receive detailed lectures on the events of 1915 which the Turks regard as a founding moment of their modern nation. On November 3, 1915 British and French warships shelled the fortresses at the entrance of the Dardanelles and two days later Britain and France formally declared war on the Ottoman Empire. At the outbreak of the war Çanakkale was a small, but busy and cosmopolitan port of call on the shipping lane to Constantinople. The quarter by the harbour was rebuilt after an 1836 fire and it had a modern aspect with hotels and restaurants. 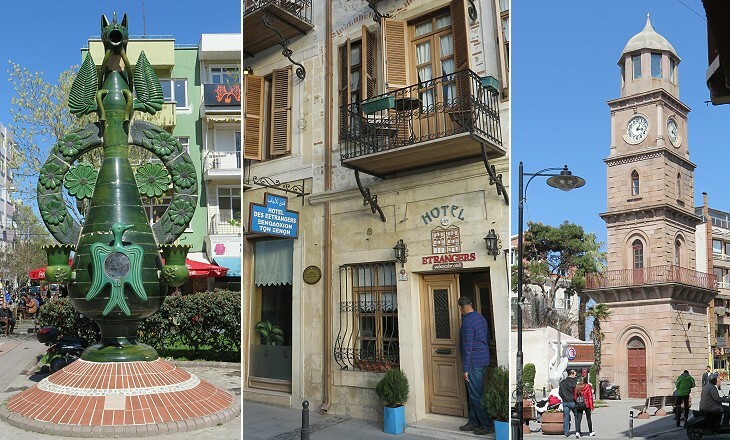 At the Dardanelles are European consuls and hotels. During our short stay in the harbour, sellers of "Dardanelles Vases" boarded our boat with their earthen vessels. It is astonishing to see how ancient forms have retained their purity in these workshops. J.W. Cappelen, a Norwegian traveller in 1876. Today a model of the Trojan horse is the best known monument of the town. witnessed the end of an era. We had water batteries and forts on both sides of the Hellespont, flying the crimson flag of Turkey, with its white crescent. You may wish to visit the Archaeological Museum of Çanakkale.